Lockheed Martin (NYSE: LMT) has secured a potential five-year, $585.2M delivery order from the Missile Defense Agency to design and produce a homeland defense radar system for installation in Oahu, Hawaii. MDA obligated $51.4M in initial research development test and evaluation funds for project that commenced Tuesday and will continue through Dec. 15, 2023, the Department of Defense said Tuesday. The agency received one offer for the fixed-price-incentive order via a competitive acquisition. DoD noted the company will build the the Homeland Defense Radar-Hawaii with autonomous acquisition, precision tracking and discrimination tools intended to increase the performance of the country’s Ballistic Missile Defense System. 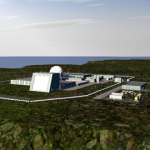 Lockheed also plans to leverage the Long Range Discrimination Radar system being constructed in Alaska to support the HDR-H, Chandra Marshall, program director of the company’s missile defense radars market segment, said in a statement. The company aims to complete LRDR in 2020. DoD has yet to complete site selection and National Environmental Policy Act requirements to determine the exact location to install HDR-H.